Meet and mingle with top selling crime authors and police and forensic crime experts; hear how the authors write their popular crime novels, find out how much they draw on real life experiences and experts, learn about what really happens at a crime scene, how a fire investigation is worked, hear about cyber crime and internet stalking, see how the fingerprint bureau works, have your fingerprints taken, and much, much more. This will be the third year of CSI Portsmouth and it promises to be an even more exciting and informative event than ever. Join best selling crime authors Stephen Booth, Ann Cleeves, Matt Hilton and Pauline Rowson along with police and forensic experts at CSI Portsmouth 3 November 2012 for a thrilling event where crime fiction meets crime fiction. Come for the morning or the afternoon or make a day of it. Join International best selling authors Stephen Booth, Matt Hilton and Pauline Rowson with Crime Scene Manager Co-ordinator Carolyn Lovell from Hampshire Police, DC Terry Fitzjohn, Hampshire Police, Crime Scene Fire Investigator, and Andy Earl Hampshire Fire and Rescue of the Arson Task Force. Join International best selling authors Ann Cleeves and Pauline Rowson with Adrian Fretter, Hampshire Police Hi Tech Crime Unit, Professor Bran Nicol University of Surrey, an expert on stalking culture and Internet Stalking and Dr Mark Button from the University of Portsmouth, an expert on fraud. Stephen Booth is the creator of DC Ben Cooper and DS Diane Fry who appear in twelve novels set in the atmospheric Peak District. Winner of a Barry Award for Best British Crime Novel, the Cooper & Fry series is published all around the world, and has been translated into many languages. From the North East of England Ann Cleeves is the author of the Vera series of crime novels which have been adapted into the popular ITV series starring Brenda Blethyn and David Leon, broadcast in the UK, and sold worldwide. An adaptation of Red Bones, one of her Shetland mysteries, is currently in preparation for television. Her books have been translated into twenty languages. 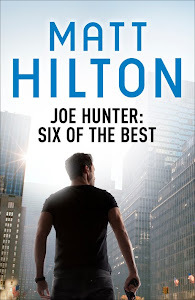 In 2008 Matt Hilton secured a record-breaking 5 book deal for his Joe Hunter series. Since then he has had a 5 book deal in the USA, a further 4 book deal in the UK and translations in Germany, Italy, Romania and Bulgaria. His debut novel, Dead Men's Dust, reached Number 11 in the Sunday Times bestseller list. A former cop Matt also worked for the private security industry and is a high ranking Martial Artist. Pauline Rowson is the author of the popular marine mystery crime novels featuring DI Andy Horton set in the Solent area. Highly acclaimed in the USA and the UK they have been hailed as the 'Best of British Crime Fiction’ and have been translated into several languages. Carolyn Lovell has a BSc in Biology (Southbank University) and an MSc in Forensic Archaeology (Bournemouth University). As part of her dissertation, Carolyn studied how the decomposition of pigs affected the forensic recovery of finger marks in blood on items within the grave environment. Carolyn has worked for Hampshire Constabulary for over 17 years, starting out as a Crime Scene Investigator. For the past 12 years Carolyn has had the role of Crime Scene Manager/Coordinator, managing numerous serious and major crime scenes. Carolyn currently manages the training and performance of the Crime Scene Investigators along with the Arson Task Force, and provides forensic consultancy advice and training to external agencies. DC Fitzjohn works with the Hampshire Police Arson Task Force team. He is a trained Crime Scene and Fire Investigator. During investigations, DC Fitzjohn links in with the Police investigating officers, CID and Major Crime Teams to review and support the investigation of serious and life endangering fires. The link is invaluable as both agencies work very hard to identify arrest and convict arsonists. DC Fitzjohn’s role also involves monitoring arson offences within the county, identifying patterns and gathering intelligence. Watch Manager Andy Earl has worked for the Fire Service for 23 years as a Firefighter and then Crew Manager. He joined the Arson Task Force in 2009 as a Fire Investigation Officer where his primary roll is to carry out ‘Cause and Origin’ Fire Investigations in partnership with Hampshire Constabulary Crime Scene Investigators. Adrian Fretter has worked for Hampshire Police for 23 years. He was appointed to CID in 1996 has worked in the incident room during the Glenda Hoskins and Ann Fidler murder and attempted murder investigation and been an informant handler. In 2006 he joined the High Tech Crime Unit where the ever changing technologies present a major challenge. Professor Bran Nicol is Professor of English Literature at the University of Surrey, having previously worked at the University of Portsmouth. His research interests include crime culture, and the way that crime in literature and cinema reflects and shapes cultural anxieties and desires. His book, Stalking saw him being shortlisted for the 2007 Times Higher Young Academic Author of the Year award, and has been translated into Italian, Korean, and Japanese. He is an expert on stalking culture and has appeared on many radio programmes and featured in the documentary Stalked - to Death, for the Irish channel, TV 3. Plus other experts to be announced. Dr Mark Button is Director of the Centre for Counter Fraud Studies, a Reader in Criminology and Associate Head Curriculum at the Institute of Criminal Justice Studies, University of Portsmouth. Mark has written extensively on counter fraud and private policing issues, publishing many articles, chapters and completing five books with one forthcoming. He has undertaken research on behalf of the National Fraud Authority, ACPO, Department for International Development, Acromas and PKF to name some. Mark is also Head of Secretariat of the Counter Fraud Professional Accreditation Board. Before joining the University of Portsmouth he was a Research Assistant to the Rt Hon Bruce George MP specialising in policing, security and home affairs issues. Mark completed his undergraduate studies at the University of Exeter, his Masters at the University of Warwick and his Doctorate at the London School of Economics. Access to the centre is through the arch way on Queen St.
Take the M275 into Portsmouth and follow the brown signs for 'Historic Waterfront'. Queen Street is the main road that leads down to the Historic Dockyard. Alight at Portsmouth Harbour and on leaving the station head towards the Historic Dockyard and turn north into Queen Street. The John Pounds Centre is located half way down. Many different routes from all over the city stop close by. Portsmouth City Council produces a public transport map. Telephone 023 9283 4092 or visit www.portsmouth.gov.uk and click on Residents, Getting Around, Bus for a free copy. CSI Portsmouth is part of Portsmouth Bookfest a festival of popular literature organised by The Hayling Island Bookshop and Portsmouth City Council and runs from October 22 to 3 November. Its aim is to promote reading for pleasure and enthusiasm for literature in the city of Portsmouth. Call 023 9268 8037 Open Monday to Friday 9am to 5pm. Portsmouth is one of Britain's favourite waterfront destination. Its irresistible mix of history and heritage, specialist shopping, lively arts, great restaurants and bars and a programme of year round events make it a popular destination, while the beautiful scenic coast of the Isle of Wight is just a short trip across the Solent. Hope you can join us for CSI Portsmouth 2012 on Saturday 3 November 2012. And strangely, i'm already in Portsmouth that day, but for a wedding. I don't think my friends would be terribly happy if i skipped off for a couple of hours to talk work though... Sounds like a cracking day though, and the closest one to home i've heard of!